Have you ever wanted a bigger tax refund? I don’t blame you if you do. I used to use my tax refunds to help me pay off debt, bump up my savings, and pay for larger expenses in cash. I did stop getting tax refunds when I quit my 9-5 job and started working for myself. If you do any contract work on the side, odds are you’ll be responsible for paying your own taxes and may not get a refund. Still, maximizing your ability to get a refund from the IRS may even things out so your tax bill is either low or nonexistent. So what’s the deal with tax refunds? Some people get them and some don’t. Others will swear by not getting a tax refund at all. I’ve been on both ends of the spectrum so I understand both sides, but I’m not totally against tax refunds. The lump sum payment feels nice and can actually be quite helpful in certain cases. Plus, you can do things to legally increase your refund amount. 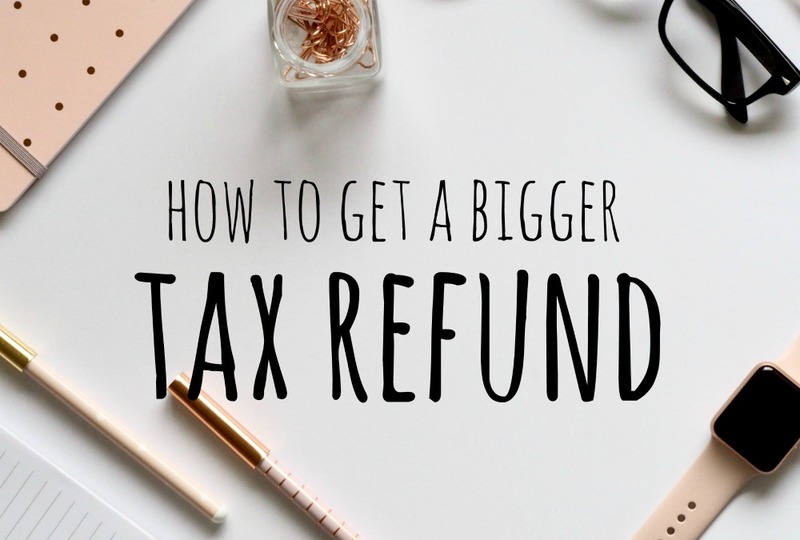 Before I address the age-old tax refund debate, let’s go over some key ways to help you get a bigger tax refund if this is what you want. Talk to your tax professional to see what your filing status should be. This is one of the easiest tax moves you can make to potentially get a larger tax refund. If you’re single but head of the household, you’ll want to choose whichever filing status will get you a better refund. For couples, they can choose between ‘married filing jointly’ and ‘married filing separate’. I actually ask my accountant to run the numbers for my husband and I to see which filing status will possibly have us owe less money to the IRS (since we don’t get tax refunds much anymore). Are you making the most of the tax deductions available to you? A tax deduction basically lowers the amount of money you pay on your taxes by lowering your taxable income. For example, if you paid on your student loans during the year, you can deduce the interest you paid up to a certain amount. This is also the case with your mortgage interest. This can then be deducted from your taxable income. Let’s say you bought a house mid-way through the year and ended up paying $5,000 in interest on the mortgage while earning $50,000 at your job. You can deduct that $5,000 from your income so you’ll only be taxed on an income of $45,000 in this case. There are several different tax deductions to take advantage of whether you have a family, are single, have debt, or run a business. Here’s a list of some common tax deductions you’ll want to consider when you file your taxes. Sometimes, you may qualify for tax credits like the Earned Income Tax Credit or the Child Tax Credit. These credits can increase your tax refund simply based on your eligibility. There are credits for college students as well which includes education-related expenses. If you’ve made some energy efficient improvements to your home over the past year, you may also qualify for a tax credit. Each tax credit is different, you’ll need to carefully read through the eligibility requirements which could include factors like your income, filing status, and dependents. Retirement accounts like your 401k and Traditional IRA are tax deductible. This is yet another reason to contribute as much as you can to retirement each year. The current maximum contribution limit for a 401k is $19,000. This means if you max out your retirement contribution, you could deduct as much as $19,000 from your taxable income. This means you’ll get taxed on a lower income and possibly get a better tax refund. 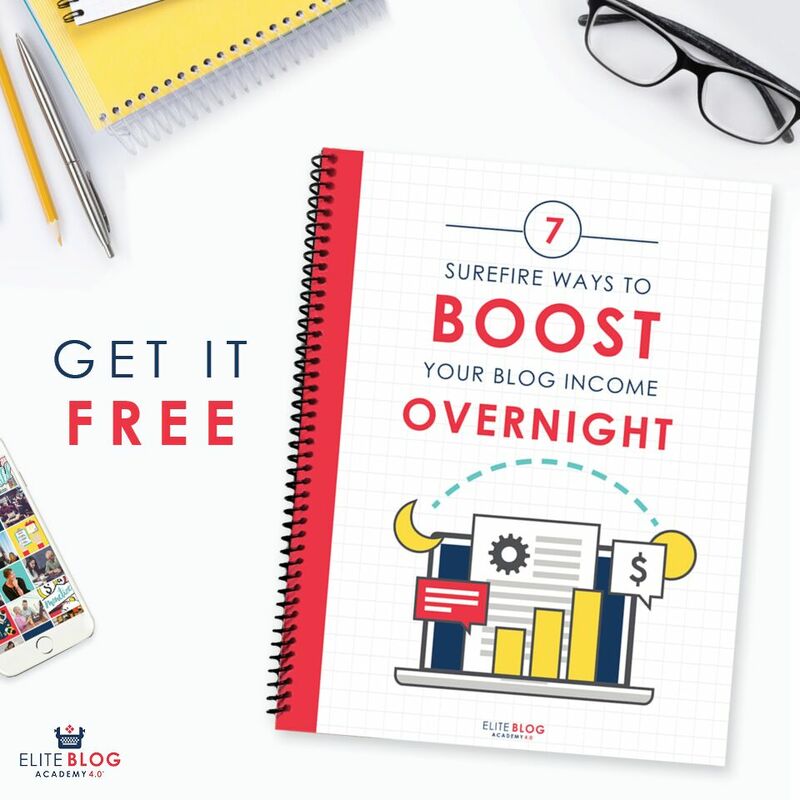 Plus, you’ll be building your nest egg so you can become financially independent some day. 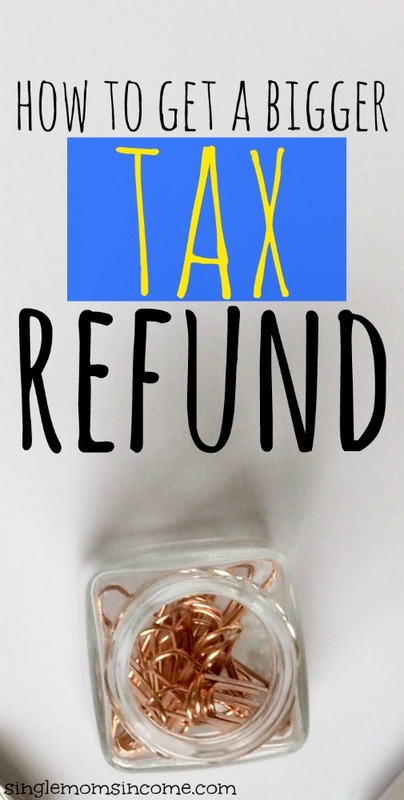 Should You Try to Get a Tax Refund? Now, there’s the question of whether you should try to get a tax refund or not in the first place. To me, it’s a personal decision. The caveat is that some people say you are giving the government an interest-free loan. If you receive a tax refund, it is likely just because you overpaid on taxes throughout the year and the government has been holding onto your money. Your ‘refund’ is them simply giving it back. On the contrary, some people say you could simply pay less taxes and keep more of your money when you earn it so you can save and spend as you please. You may even be able to have some extra to invest so your money can earn interest throughout the year. Alternatively, you could still get a tax refund even if you don’t overpay the government. This can be due to tax credits and deductions like the ones mentioned above. If this is the case, won’t it feel better to get check instead of sending one? If you feel like a tax refund can help you get ahead financially, I don’t see a problem with that. However, it’s still important to make sure you’re managing your finances properly and controlling your spending throughout the year as well. Don’t rely on a tax refund to be your saving grace each year. Work consistently to improve your finances year round. Now, I’d love to know your thoughts! Are you planning on getting tax refund? Are you for or against tax refunds in general?